We plan to create a ‘bus stop kiosk’ that is able to provide relevant information to waiting commuters such as bus arrival times and location of buses along the bus route. Information is displayed through a physical map with LEDs to indicate the location of the bus and LED matrices to indicate bus times to arrival. 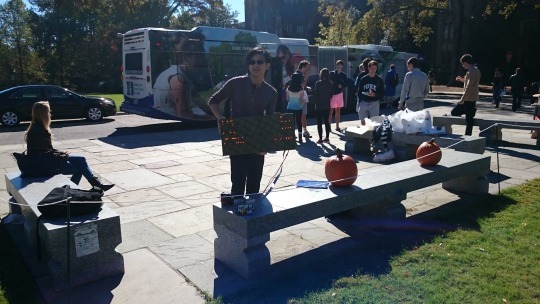 The kiosk will have internet connectivity to the Duke Wi-Fi network to obtain bus information through the Transloc API. The system will ideally be powered through a battery that can be rechargeable via a solar panel. Furthermore, the project is extensible, as it is possible to add additional features or information to our display (weather, social media). The Bus Stop Kiosk is up and running! 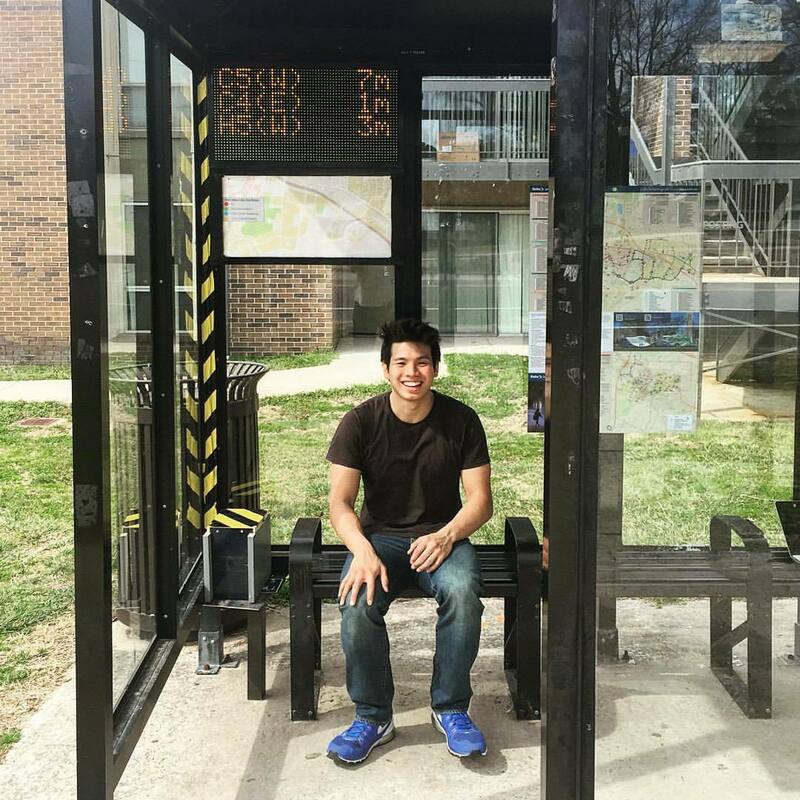 Bus Stop Kiosk in testing! We have quite a bit of the pieces going on our project! The design stage is nearly complete, and the various subsystems are underway. Our LED matrix display, Wi-Fi and Transloc connectivity, and solar panel/charger/battery are all operational and undergoing testing and validation of design parameters, while the physical enclosure has begun being manufactured. We are quite pleased with the progress of our design, and we should begin finalizing and integrating our various subsystems prior to Thanksgiving break!